The rise of the internet and supporting technologies has disrupted business for years, especially when it comes to marketing and advertising. From the advent of the digital age, many have argued that print is dead, but print is not only alive, its doing very well and even rivaling digital in many aspects. Any good promotional plan includes a mix of marketing and advertising strategies, yet the value of print as a foundation to your promotional plan is undeniable. #1 The ROI of digital marketing, especially in terms of SEO is quickly diminishing. Multiple forces are converging to diminish the ROI of digital marketing. First, as it has grown in popularity, the number of participants and messages and platforms has dramatically increased creating a tremendous amount of noise. It’s becoming more and more difficult to break through all that noise and make a meaningful impact for the dollars invested. Also, a recent article from the Business Marketing Association highlighted how the ever-changing algorithms that govern search are making it harder to manipulate search results. Simultaneously, the cost for SEO marketing and advertising has increased while the number of impressions received has decreased. On the other hand, print advertising has been shown to have the highest ROI out of all mediums, with an average return of 120%. Another issue is that digital evolves too quickly, making it hard to keep up. Large firms have to invest tremendous amounts of funds into dedicated departments just to keep up while small businesses are left to sort through an ever-growing number of specialized service providers of varying quality. The number of services required to execute a fairly comprehensive digital marketing campaign has grown significantly compared to other mediums. The time and resources it takes just to identify and hire these firms is a big reason why many small business still shy away from digital marketing. #2 Print creates a deeper, more tangible connection between the brand and the consumer. Print engages more of the senses compared to digital. The more sense that are engaged, the more of a tangible and emotional connection is created between the brand and the consumer. Print conveys texture (touch), visual interest (sight), carries fragrance either within the paper/medium itself or with the addition of perfumes (smell), and in some instances can include sounds and tastes. It exists in multi-dimensional formats and allows the reader to engage with more than just their eyes. As printing technology continues to evolve, the quality and styles that can be achieved increase, further enhancing the sensory experience provided by print materials. #3 Print breaks through the clutter, with higher levels of brand awareness and engagement. Print ads, billboards, direct mail pieces, and other forms of collateral are more effective at building brand awareness than digital. In this way print supports digital efforts, as studies have shown that more than 90% of people will click on links and advertisements for recognizable brands. Print advertising and marketing is also harder to ignore, as it is often placed within various elements of the consumer’s environment. Even though we spend significant amounts of time online, we still live in the real world. Print advertising and marketing integrates with our daily world and activities, from driving down the highway (billboards) to reading our favorite magazine (print ads) to checking our mail (customized direct mail pieces) and shopping at the store (displays and packaging). We can shut off our phones and computers, but we can’t completely shut out print advertising and marketing. 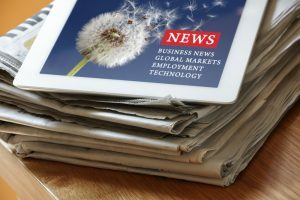 Even though it seems like digital media has overwhelmed the market place, study after study shows that print is still two-three times more popular than digital. The open rates of traditional mail versus digital mail are also astounding; with print mail receiving nearly four times the open rates versus email. 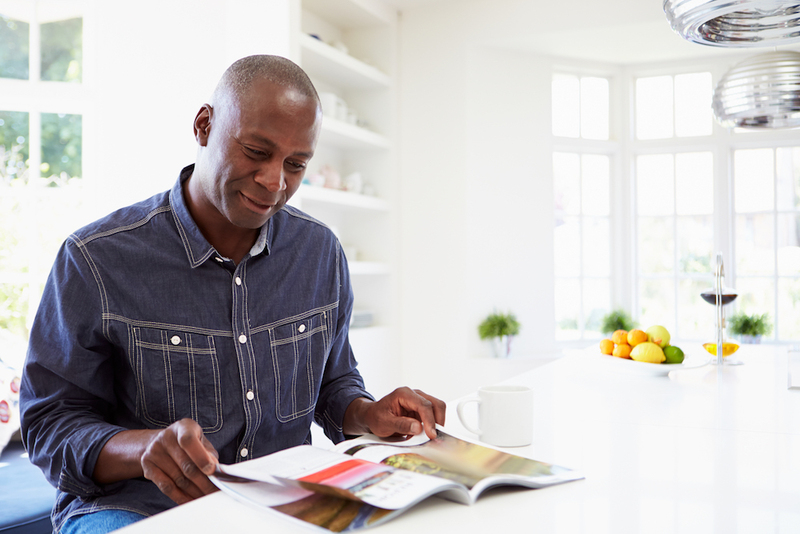 More opens and reads increase the overall ROI of print materials and campaigns. Bottom line, print is still a pervasive and highly effective medium for advertising and marketing. As we stated earlier, print is just part of the overall marketing mix, but despite the rhetoric surrounding the digital age, it still remains the most important part of your promotion plan. Our relationship with Connor Creative has been exciting and rewarding and they stand out as the most out-of-the box thinkers. Our continued business is a direct result of their professionalism, expertise and dedication to our account. Connor Creative has been my primary partner for marketing for over three years. Their professionalism and customer service is unsurpassed. True partners, they come with ideas and solutions and execute with speed, flexibility and depth of thinking. In the competitive beer category, Connor Creative consistently delivers marketing that is aligned with our brands and delivers results. We consider Connor Creative a secret weapon in our business development efforts. They have consistently delivered clean, concise marketing materials. © 2016 Connor Creative Co. • All rights reserved.